SuperCell created Hay Day in 2012. It is a farming simulator; you can plant crops, trees, raise animals and much more. It is an interesting and attractive game and has 100 million downloads on Android. Hay Day is number one in 122 countries. If you are an active user of Hay Day, then keep on reading. I will tell you some tricks and tips so that your game improves and you enjoy more playing Hay Day. Raising your level in Hay day is done by collecting the XP (experience points). So, if you collect the XP quickly, you will level up faster. So, how to gain XP faster? The answer to this is you must make sure that you harvest your crops (wheat) as soon as you can. In starting levelling up is easy but it becomes difficult when you move ahead in the game and then the best levelling strategy is playing normally. No rushing, play how it is meant to be played and you will level up. There are some ways (not many) to get money faster in Hay Day. One of which is planting wheat. This is the easiest way to make money in this game. Grow and harvest wheat and then sell it off. It will give you money but not to a significant amount. To get more money from wheat, you should use your extra money to buy land and then plant wheat on that too. So, plant wheat and earn money. Treasure is nothing unique, but it will help you to find some new treasure in the game. To locate the treasure look around the tool box on other’s farm and if the box is locked or closed then tap around that box several times but avoid the X button around the box. Now, go on a different farm, and you will find the tool box open. Collect everything from that tool box. Then you will find all the tools in your tool box. Do it several times, and you will get the results. When you are offline and not the game, but the game is still running. So, you must plant something which takes a long time to harvest. Before going to sleep at night or going to work or school plant crops like pumpkin, indigo, tomatoes, strawberries, etc. These plants take a long time and hence when you will be online again they will be ready. So, keep in mind to use your time wisely. Every time you level up, you will get 1 or 2 diamonds. 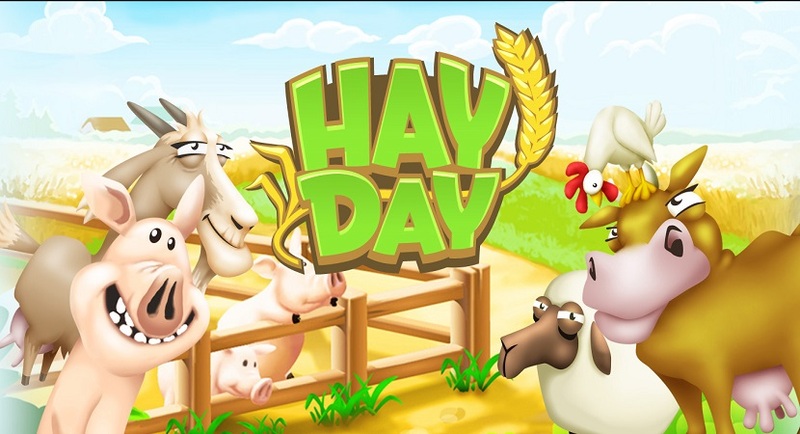 The easiest way to get diamonds is just to follow Hay Day on Facebook. You can join contests that Hay Day promotes on their Facebook page and get diamonds from there. Complete more achievements and they will give you diamonds. You can also watch ads to get free diamonds. Once you reach level 24, you can do mining and get diamonds easily. The most important tip and trick to achieve success in this game is to play regularly. You will stop playing the game but the game will never stop. If you are a serious player of this game you then you have to play this game with taking long breaks. Hay Day drives its players to check their village constantly and hence you must have to play it regularly if you wish to play properly. So, this is all for Hay Day. I hope this thing will help you while playing the game and you enjoy Hay Day !! !